I was going to come to Portland and try on a fancy lady character. I would have clean nails and silky hair and wear a button up shirt unbuttoned half way. I turned from Santa Cruz fully burnt out on building. 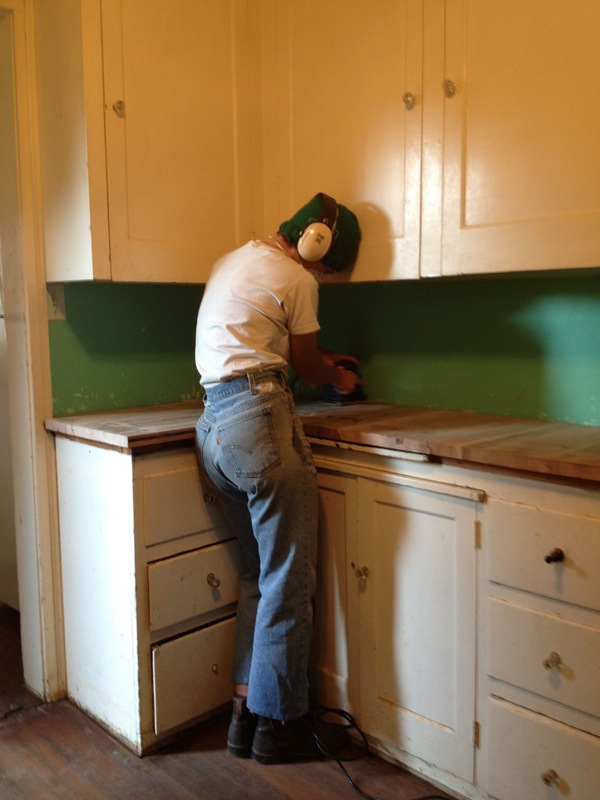 And then two weeks ago I couldn’t stop myself from peeling back a corner of the kitchen linoleum. By the end of the night I had officially started refinishing the kitchen floor and replacing the countertop all in time to host twenty people for Thanksgiving. If I weren’t myself I’d think I’m crazy.